If you haven’t heard of Chelsea Physic Gardens before that’s probably because it’s known by the locals as ‘The Secret Garden’. I got the chance to explore the gardens recently whilst working on a wedding for Jam Jar Flowers. Whilst we were waiting to set the tables, Flora, Joe and I went on a walk around the gardens that are simply beautiful but not without purpose. Everything grown in the garden was used for medicinal use. With links to the Royal College of Physicians. The garden has according to their website around 5,000 different varieties of medicinal, herbal and edible plants. Open since 1673, hidden away by the Thames. The original river access allowed boats carrying plant species from around the world to be introduced to the British Isles via the garden, making the garden an important place from day one. On my next blog I’ll be writing about my trip to Rebel Rebel’s house in Tuscany, Italy. Stay tuned. 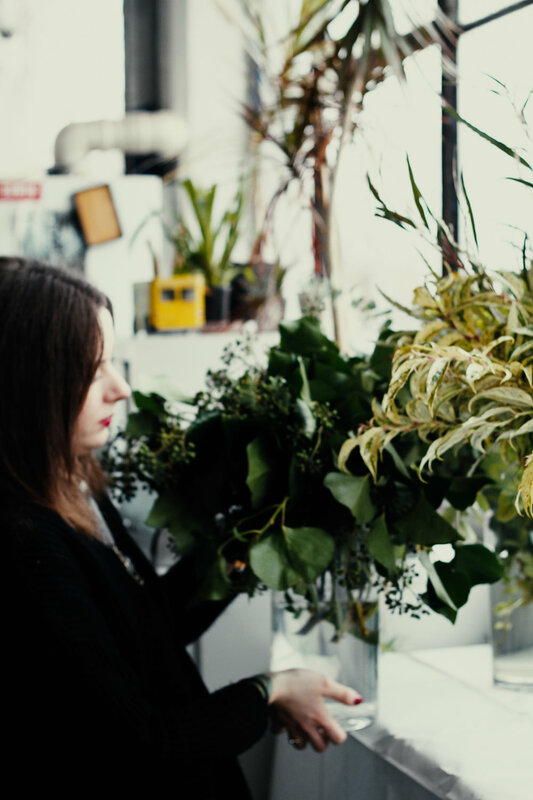 Monday we held our first bouquet workshop at Pearl, Hackney Wick. First things first the Pearl is a beautiful venue to hold a workshop in with its ambient lighting and relaxed, super chill vibe. Really looking forward to hosting another one soon. On arrival everyone grabbed a drink and introduced themselves, We had Alana who is soon to be married and testing out what flower compositions she liked. We also had Amanda who had booked two spaces for herself and her friend as a chilled fun evening out, learning something new. I love to teach and to pass on my knowledge which I have gained over the years within the industry, but the nicest thing is being able to pass that knowledge on to people who are just plain great people! Good fun, willing to learn and just looking to do something different on a Monday night. During the cold, often depressing month of January, I decided to take action and begin my dream of running workshops for my own business. 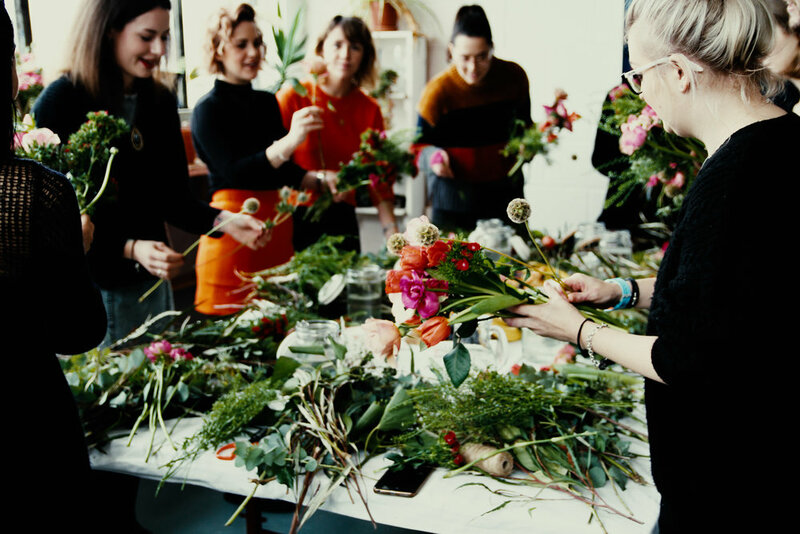 My experience comes from teaching and organising a series of different workshops at the formidable Rebel Rebel, where I have worked for a number of years. Additionally I have worked with florists such as Jam Jar Flowers, Urban Flower Company, Augustus Bloom and McQueen’s. I have a passion for teaching and love sharing the joy of flowers with others. When it came to starting my website I had lots of help from some great friends who understood what I was trying to achieve with my website. On a crisp but sunny January morning I arrived at Covent Garden Flower Market In London. I perused the endless beautiful seasonal flowers. I bought an array of flowers at Dennis Edward's; amazing Anemones, radiant Roses and flawless Freesia and all of the beautiful foliage at Porters. The market really is worth visiting with its industrial yet family feel, with many of the traders having been in the business for decades. Having made it home with armfuls of blooms, I styled the room and placed the flowers in containers. Everyone arrived and we began! 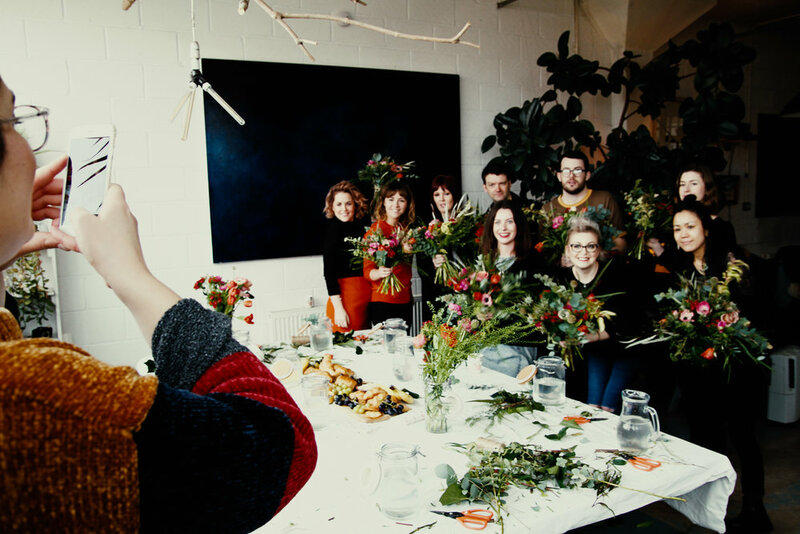 The Workshop went perfectly with everybody making stunning seasonal bouquets with perfect wrapping and spiralled stems! Being on a massive high from how well the first workshop went, I began organising the next one which will be taking place at my favourite restaurant and bar, Pearl Hackney Wick,on the 5th March. The day before my 24th birthday! For more information on our next workshop head to 'Hand-tied Bouquet Workshop’.